As the name implies, an Adjustable Rate Mortgage, or ARM as it is commonly referred to is a type of mortgage that adjusts on a predetermined schedule (usually once per year) after an initial fixed period. For example, if you have a 5/1 ARM your interest rate will be fixed for 5 years after which time it will change every year as evidenced by the 1. An ARM can increase or decrease depending on current market conditions. If you currently have an adjustable-rate mortgage, today’s low interest rates present the perfect opportunity to refinance into a fixed-rate mortgage, with your choice of term: we offer both 30-year or 15-year terms. Fixed-rate mortgages are a popular alternative to adjustable-rate mortgages because they offer predictable monthly payments which makes budgeting less complex. You’re given the opportunity to make larger payments. The adjustable-rate mortgage (ARM) loan has certain pros and cons. When used wisely, it can save you money during its fixed period, as well as allow you to afford a more expensive home. The downside to adjustable-rate mortgages, however, is that these loans carry a significant degree of financial uncertainty. Once your fixed period is up, the interest rate on the loan will begin to adjust according to a predetermined schedule (usually once per year). The rate can increase or decrease significantly depending on current market conditions. Cue financial uncertainty! This is why most homeowners choose to refinance to a fixed-rate mortgage loan. For homeowners planning to stay in a home indefinitely, a fixed-rate mortgage loan is usually their best option as it provides peace of mind in knowing that their rates will never change, regardless of market conditions. 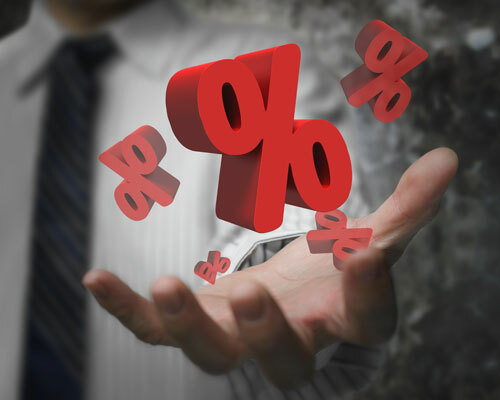 Today’s low interest rates may even afford homeowners a lower monthly payment. Fixed-Rate Mortgage: Fixed-rate mortgage loans are available in multiple terms, including 30-year fixed-rate mortgages, and 15-year fixed-rate mortgages. The benefits of a shorter-term loan are lower mortgage rates and less total interest paid. Longer-term loans will benefit you by providing you with lower monthly payments. Fixed-rate mortgages make budgeting easy. Interest-Only Mortgage: Most home loan payments consist of some interest and some principal. An interest-only mortgage though, you’ll be making interest only payments for a specific time period (usually 5-10 years), while your principal will remain untouched. After the initial period, your monthly payment will rise in order to pay off the principal, and any remaining interest. Interest-only mortgages are best for homeowners who need reduced monthly payments now, but expect to be more financially secure in the future. This mortgage option can also enable you to buy a more expensive house. Jumbo Mortgage: A jumbo mortgage is a home loan for an amount that exceeds current conforming loan limits. The current conforming loan limit, according to regulation, for a single-family home is $417,000 for all states except Hawaii and Alaska, where it is $625,500. Jumbo mortgages are available in both an adjustable-rate and fixed-rate loan. Jumbo mortgages are intended for higher-priced, luxury homes. Don’t wait for the inevitable rate hike when your ARM matures! Lock in today’s low interest rates by converting your adjustable-rate mortgage into a fixed-rate mortgage today by contacting Maximum Lending at (949) 342-0610 or info@maximumlending.com. We can explain all of your options and help you into a mortgage that works for you!